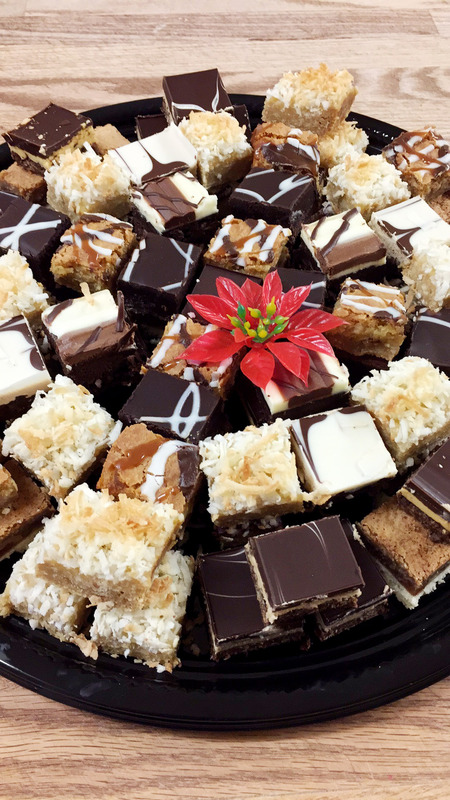 The Village Bake Shop is always ready to provide you with professional catering for any event. Whether you are having a few friends over for a special lunch, planning your wedding reception, hosting an entire team of business associates, or feeding a family reunion – we’ve got the specially prepared dishes you need for an easy and impressive experience. Browse our convenient plans that give you everything from the main course to premium deserts. From informal snacks to a full formal dinner, it’s all here. We prepare everything fresh and have it ready on time as planed. 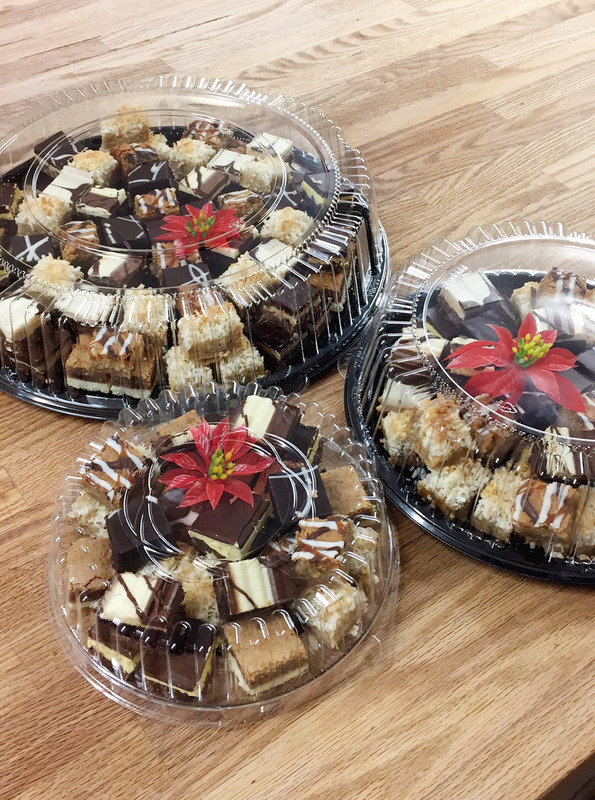 Cookie Trays: An assortment of oatmeal, chocolate chip, shortbread and peanut butter. At Christmas we have spritz, ice box, sugar & spice, and shortbread. 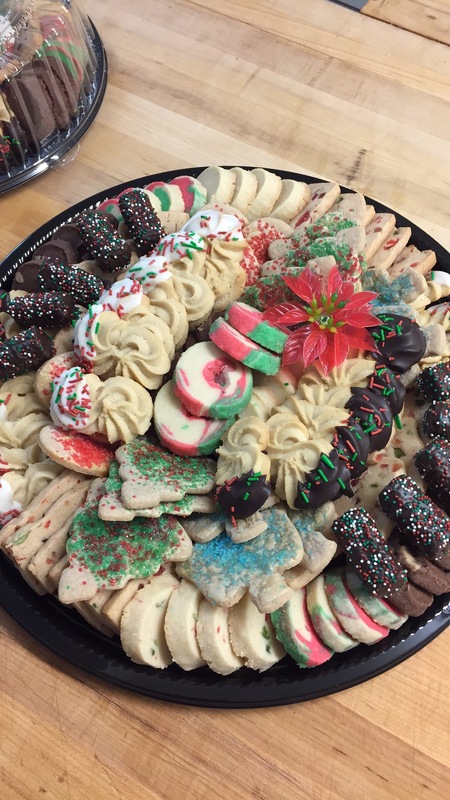 Small: 5 dozen cookies; Large 9 dozen cookies. ** Extra sandwiches for trays are priced separately.